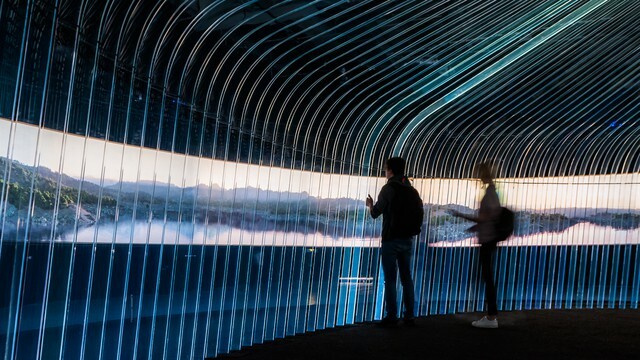 Interactive Media Structure “The Pulse of Life” was created for the Paris Design Week in Paris, 2017th. The idea was to create a static image of a heart which would be something alive, transforming, and giving an impulse as something that transforms and moves is alive. 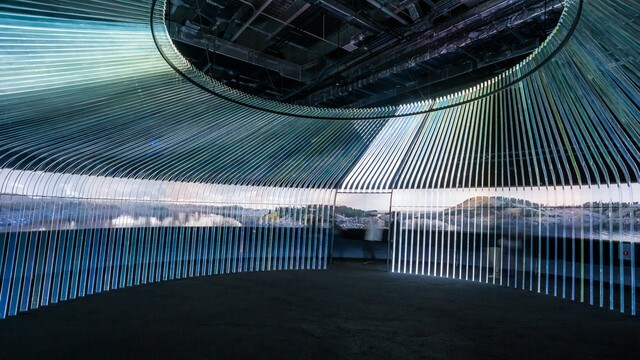 The structure becomes dynamic using inner color-dynamic illumination, 3d-mapping projection, and audio accompaniment, which comprises meditative music and heartbeat. 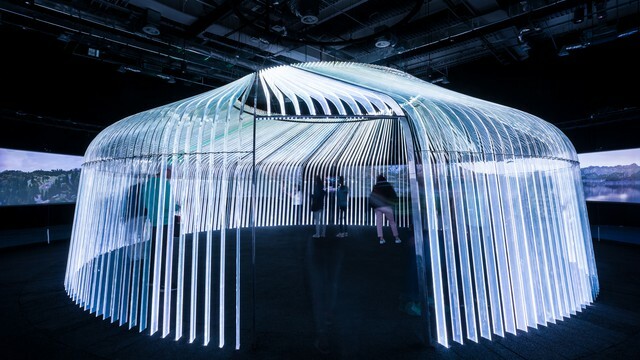 Interactive Media Structure “The Pulse of Life” was created for the Paris Design Week in Paris (2017) in collaboration with the Architectural Bureau “Decor Kuznetsov”. 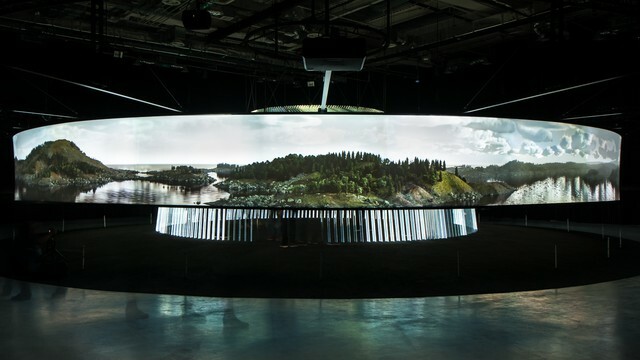 The spatial interactive media sculpture was created to resemble the image of a human’s heart. Recyclables used as a material were wastes from the footwear production. The material fitted perfectly - being white-colored and matted, it allowed for forming an openwork structure that worked well with the light. We combined different principles of lighting: an internal light from colored multi-channel lamps under different angles, a controllable outer light, and a 3d-mapping projection. The specially developed content of this projection was made in such a way that it only fell onto the sculpture and through it, but didn’t go beyond. Using 3d-mapping and internal lamps the sculpture became a stencil for interesting shadows. Outer lamps adapted to the surrounding area to strengthen the contrast and expressiveness of the shadows. 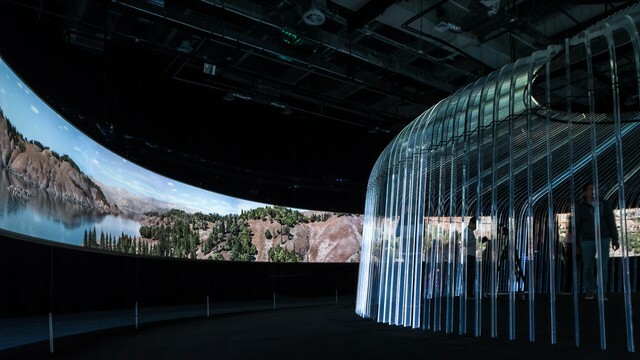 All the installation was tied to a single media server and accompanied by the audio content, which recreated the heartbeat on the background of meditative music. The pulsation of the 3d-mapping projection and the rolls of internal light were linked to the heartbeat rhythm. In addition, the sculpture was interactive. Kinetic sensors, which reacted to human movement, were placed around it. When a human came close to them, the heartbeat’s sound and the pulsation of the light accelerated whereas for leaving people it slowed down. Kind of light creation : An internal light from colored multi-channel lamps under different angles, a controllable outer light, and a 3d-mapping projection.